Today the stock market came roaring back after US President Donald Trump and Chinese President Xi Jinping agreed to a temporary cease-fire on the escalating tariffs between the two nations. As a result, the markets opened with most sectors showing surging gains. The technology industry was no different, especially Amazon Inc (NASDAQ:AMZN), which opened up over $80 dollars a share, or about five percent up. 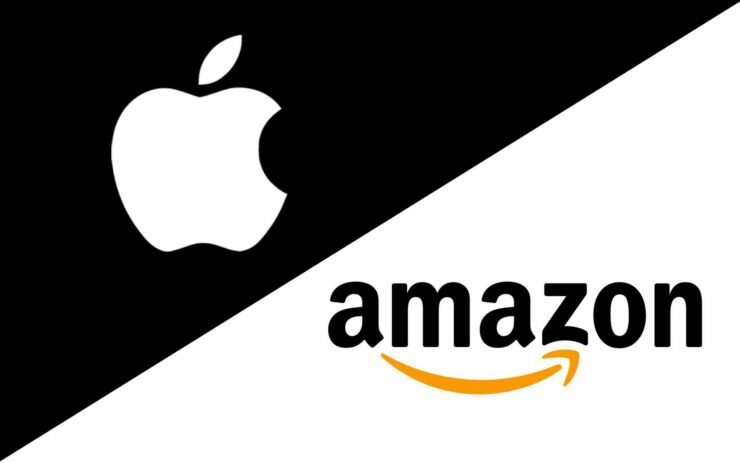 While Amazon basically didn’t budge since the opening bell rung, Apple (NASDAQ:AAPL)dipped on through the afternoon which was good enough for Amazon to briefly capture the coveted title as the world’s most valuable company. Sound familiar? We brought you the news last week that Microsoft (NASDAQ:MSFT)pulled off this exact same feat versus Apple in a very similar fashion. This is just how close things are between the three tech giants. As of Monday’s close, Apple led the market with a market cap of $877 billion. Next up are Jeff Bezos and Co – Amazon, which closed the day at $866 billion. Finally, Microsoft isn’t far behind and is sitting at $860 billion. Apple was the second company in the history of the world to reach the $1 trillion mark just this past August, which is incredible when you consider that the company almost went bankrupt in the 1990s before Steve Jobs returned and led the comeback efforts with the original iPod and iMac. For those interested, the first company to achieve this feat, albeit briefly, was PetroChina back in 2007, but that was short lived. Apple retains the lead for now and of all three companies, they have the most to lose if the US-China trade war continues. Seemingly with a good wind now blowing around the deal thanks to the cease-fire, Apple may continue on as the leader for quite some time.